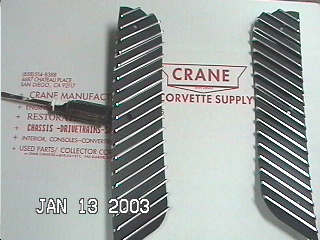 You are viewing a new, 1961 Corvette front grill. This grill is Factory perfect. It is new. It is correct in both fit and finish. 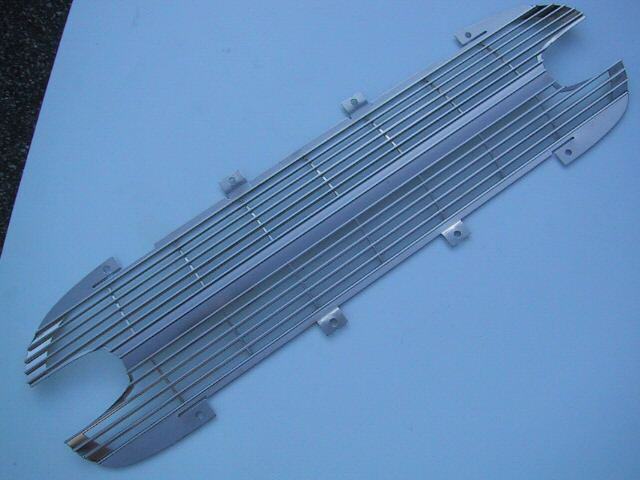 It is the correct original size, shape, weight, material, finish and gauge. 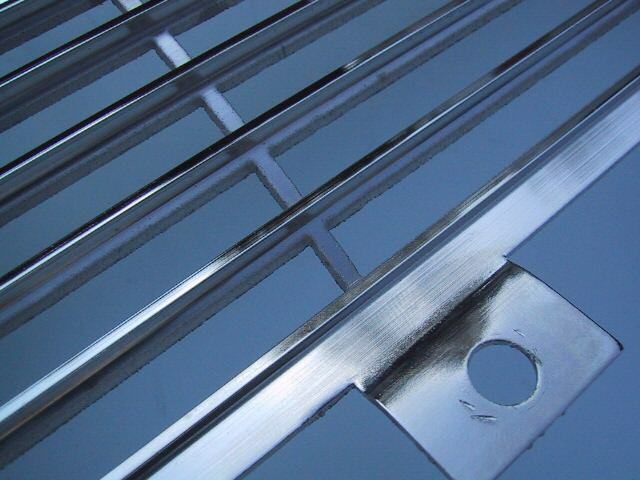 This grill is extruded aluminum, not a die casting like some replacement grills have been. 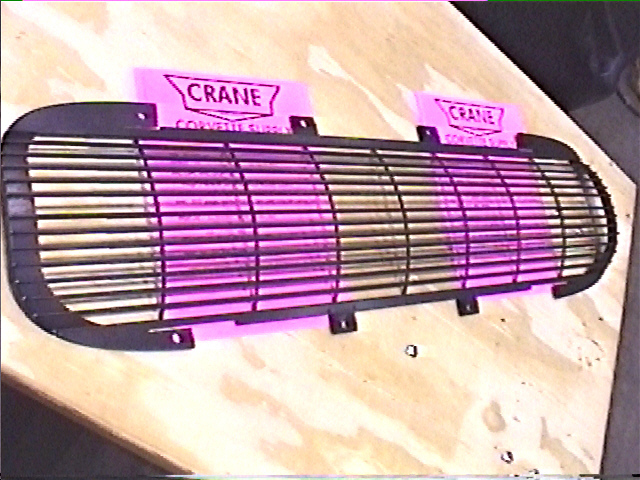 Extrusion, is a much more expensive process, but that is the original method of manufacture. 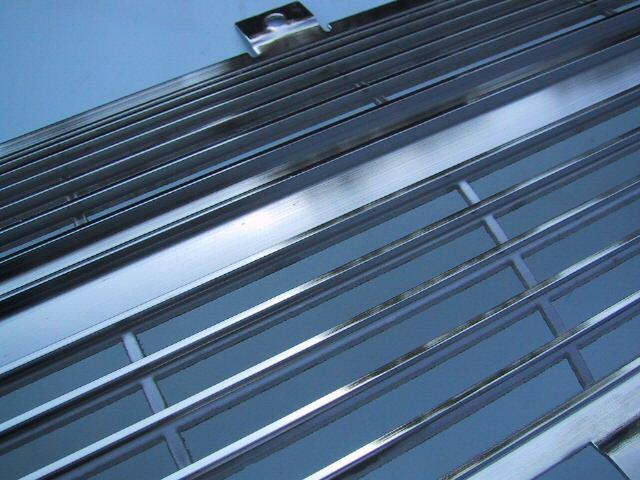 Because it is aluminum, it is anodized, just like the original assembly line grilles. The anodized finish is unique, and gives it a look that is different from the more common, cheaper finishes. There is no substitute for the original, extruded aluminum, anodized look to make the car appear exactly like it did on the showroom floor. Notice how thick the horizontal bars are. Also, notice how straight they are in the photos. Notice the brightness of the anodized finish. 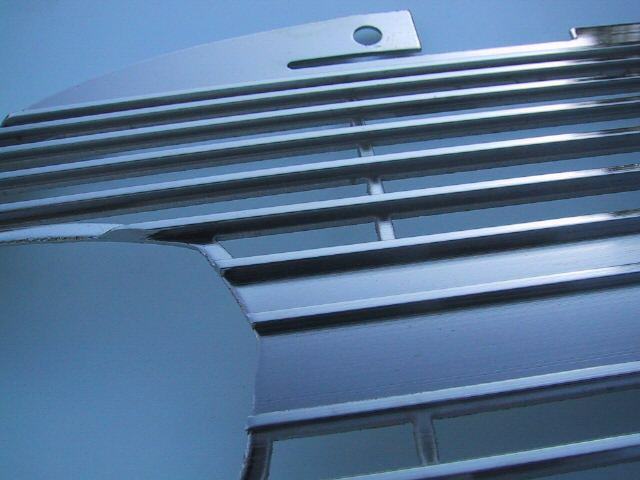 This grille was manufactured in the USA using the the Factory method, every step of the process. I guarantee your satisfaction or your money back less the shipping. 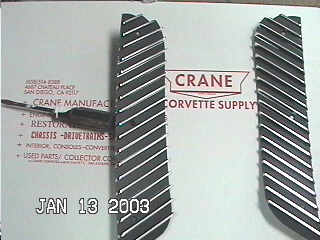 note: now Upgrade "Your Corvette" with Crane's Power Steering System. for more info: click this banner below. a bolt on system - same steering box. for: 1956-62 early corvette parts -"Power Steering System! C4 58-60 Rear Lower Bumperettes Rh/Lh (1) Used $180 ea. Repro (1) $ not avail. disco'd.